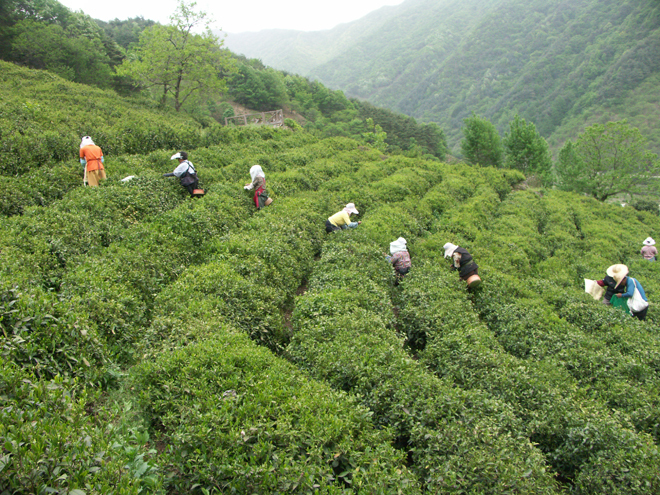 Most of Korea’s green tea is cultivated on large, commercial tea gardens in Boseong county in South Jeolla Province since the 1950’s. 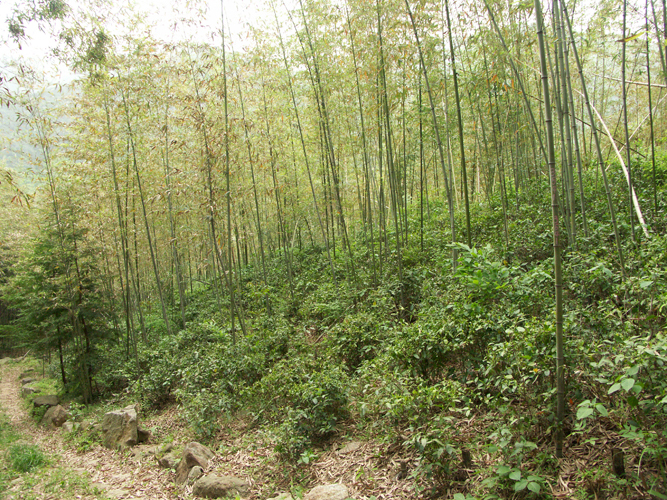 However there are teas grown on slopes of Mt. 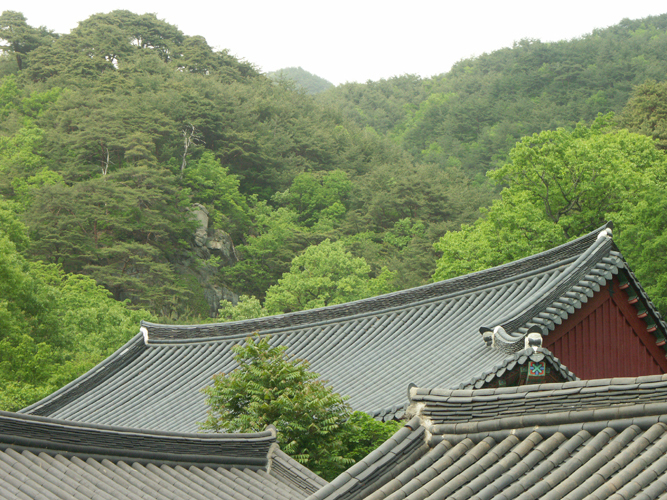 Jiri close to Ssanggye-sa temple in Hwagae Valley. 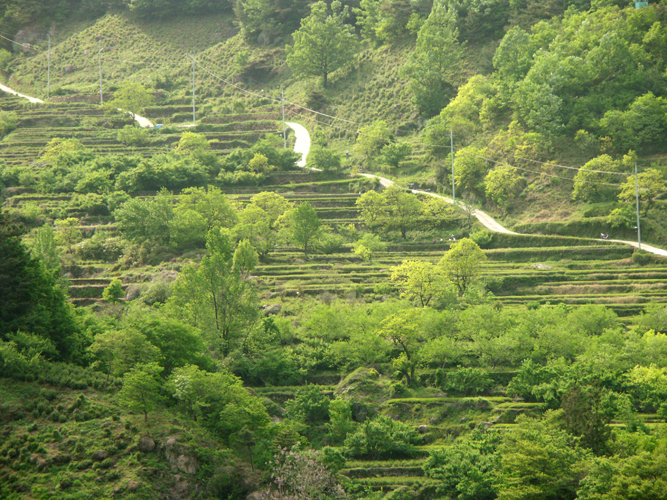 This tea growing area is located in Hadong County in South Gyeongsang Province, and is the original, historic home of Korean green tea. 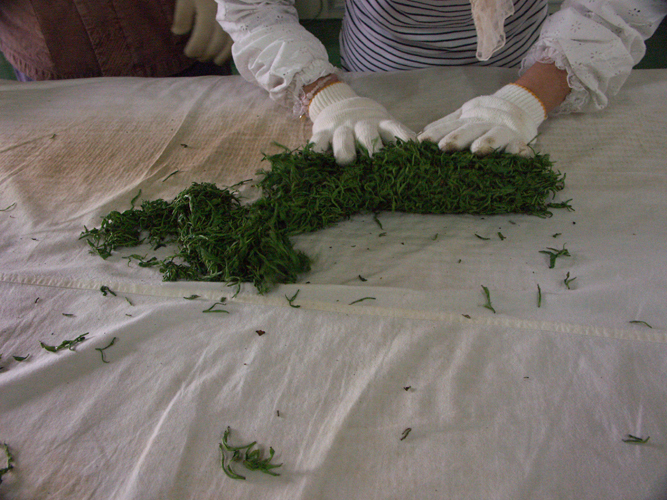 The teas are hand picked and processed and are some of Korea´s finest. The most common ways to differenciate grades of quality is using the labels Ujeon (or Woojeon, made in April), Sejak (late April – May) and Jungjak (May). These terms moreless correspond to „first flush, second flush and third flush“ used as labels for high quality Inidan teas. Ujeon is made of the smallest earliest shots, therefor is most expensive. Sejak is just a bit less aromatic and good, also cheaper. Made of shots grown later. Good Jungjak can be a little less intensely flavored than the other two and usually cheaper. 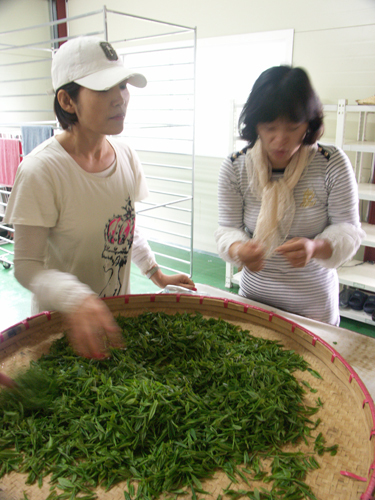 If you meet Daejak, it is tea harvested after Sejak season, it means in June. Let us not forget also a famous “yellow tea! – Hwangcha. 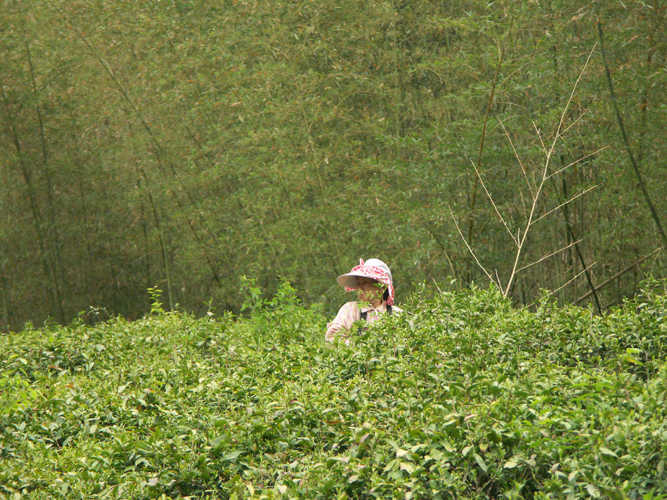 However, in Korea itself, drinking high quality green tea is not so frequent. There is definitelly connection between high price and low accessibility. 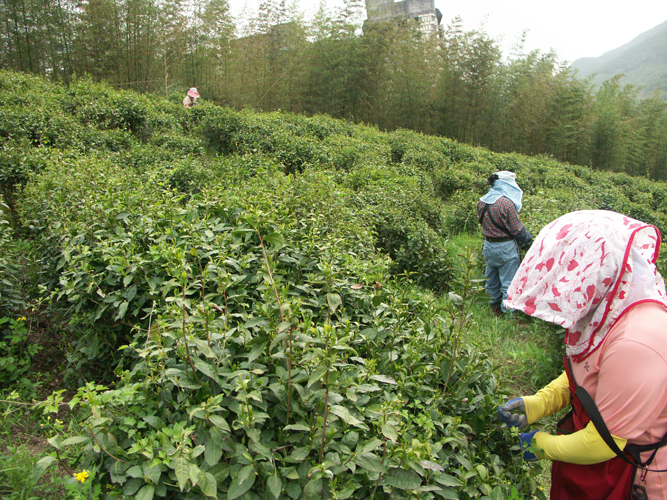 Quality green tea you can only buy in tea rooms, at specialized shops or at producers.